Quang Nam Provin ce in the central Vietnam has just announced that on December 4 this year tourists will not have to pay a fee to enter the ancient town of Hoi An on occasion of the town being recognized as a World Heritage Site in 1999 on this day. Vo Phung, director of the Center of Culture and Sports in Hoi An Town, said those tourist sites charging an entrance fee will be free for tourists on December 4 –places such as the Cau Pagoda, Cam Pho Temple, the royal palace and the tombs of King Tu Duc, Minh Mang and Khai Dinh, local museums, ancient houses, the XQ embroidery workshop and tombs of Japanese businessmen Gusokukun, Tani Yajirobei and Banjaro. 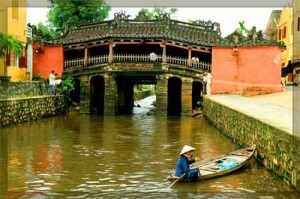 Entrance fee to the ancient town of Hoi An was increased by 30 percent on November 1. The fee is now VND120.000 (US$5.76) for six relic sites. This amounts to VND20.000 ($0.96) per site visit per head. © 2019 Vietnam Blogs. All rights reserved.